About - Noida Diary - Rediscover Noida With Us! I’m Bushra Muzaffar, a freelance web writer and content developer from Noida. Besides I am a foodie-wayfarer who loves to immerse in music, movies, books and cultural experiences. I find Sudoku and stock trading vivifying. 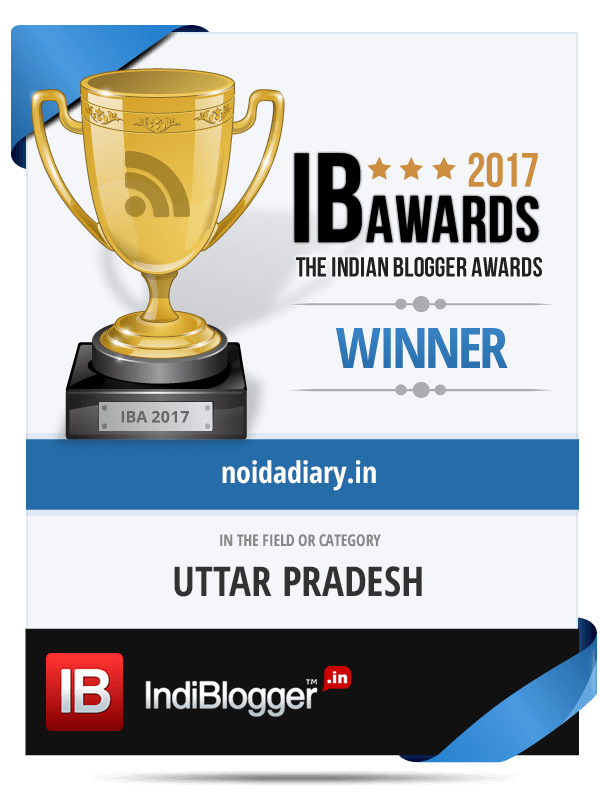 Foremost, I have an overwhelming passion for my Noida city, which led to the creation of the blog Noida Diary. I heart Noida. Period. Noida Diary is a comprehensive guide to Noida City. It is an attempt to create a wide range of stories giving a glimpse of cultural life in the city. Enjoy a kaleidoscopic view of Noida city and its people, culture and philosophy through the myriad of images that tell the stories developing in the city. This compendious blog will appeal to all those who live in Noida and the visitors alike. Armed with my mobile camera I strive to provide my readers with a guide to Noida about the special events and the mundane as well. I invite my readers to share their experiences and contact me if you know any aspect of Noida – quirky or the usual – that should find a place on this blog. The posts on this site are original work of the author as well as curated content and re-purposed press releases. We ensure our readers best of effort goes in research to bring these credible articles and information on Noida. Content and images are copyright Bushra Muzaffar unless credited otherwise. In case of any violation or copyright infringement kindly leave a message through contact form or in the comments section of that post or inform us here. The reviews on this site are unbiased opinions based on first-hand experience. These are the services, products and visits that I have paid for…every dime of it! In case of paid-for content, in cash or otherwise, the articles are clearly tagged and put in category of ‘sponsored post’, ‘promotion campaign’, ‘Press Release’ or ‘media invitation’. If you have any concern in relation to this content (viz. it is harmful, defamatory, obscene, objectionable, invasive of another’s privacy, or unlawful etc. ), or you dispute the ownership of the content, you may report the same to us at noidadiary@gmail.com for a quick redressal. Readers are advised to use their discretion and judgement before using a product or service reviewed on this blog. They are also encouraged to check the details at their end before visiting a place or event. Please Note – Noida Diary is not a company or a travel agency, but a personal site originally started as a hobby. Promotional posts support the site and the research on various topics, and buy me a pizza or two. The information on this site aims to help, but I can’t take responsibility for any inaccuracy. All pages & photos © Bushra Muzaffar 2013-2017, except where shown.